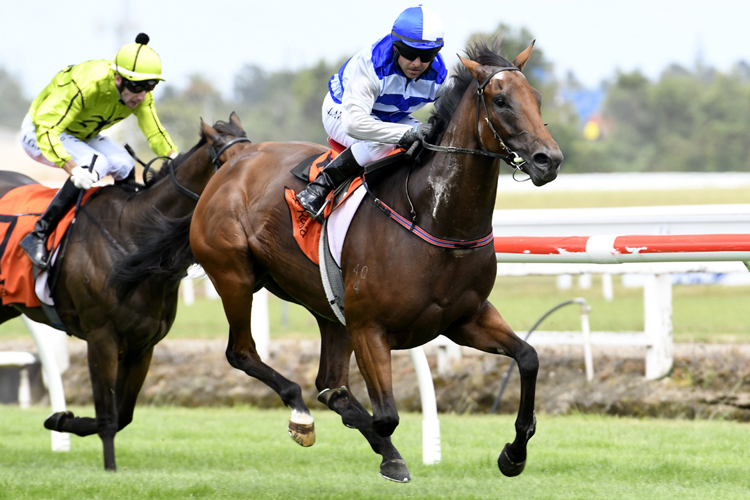 Trainer Ken Kelso believes progressive four-year-old Supera can continue to make steps towards a black-type assignment following her strong win over a mile at Avondale on Wednesday. The Savabeel mare, who Kelso prepares in partnership with his wife Bev and Mark Donoghue, is a half-sister to Group Three winner Eleonora and a granddaughter of Champion staying mare Ethereal. Raced by Sir Peter Vela, Supera has now won four of her eight starts and looks to have inherited her fair share of the family talent. “It was a really good effort, she has a hell of a lot of ability,” Kelso said. “I have to discuss where we go next with Gary Cossey (Racing Manager for Sir Peter Vela), who is on his way back from Melbourne. Kelso said Supera had been a work in progress and would ultimately get over ground once her racing manners improve. “She is bred to stay, being a granddaughter of Ethereal, and eventually she will probably get over ground, but she probably has to learn how to race a bit better yet. “She over-raced a bit in the early stages on Wednesday, so I would like to see her have another go over a mile before we stretch her out over ground. “She had a run over ground at Counties last year in a stakes race, but she struck a heavy10 track. Meanwhile, Kelso faces a similar predicament with talented five-year-old mare Princess Kereru, who finished second over 6 f at Ellerslie on Tuesday after being crowded for room in the straight. “That was another good run, she was desperately unlucky and should have won,” Kelso said. “I’m not sure where she is going yet either. I’d like to think she could get some black-type for the owners. Kelso said he and Bev were enjoying training in partnership with Mark Donoghue and the lifestyle benefits that come with that arrangement. “We have never trained more than about and a lot of people don’t know that. “Every now and then we sneak up to but we focus on quality and maintain a good strike-rate and try and find another Bounding or something like that. “We are getting on and it can be a pretty demanding industry, so if you can get someone to take a bit of pressure off, we can take it a bit easier. Kelso said some of the highlights of their trip to Europe were spending time in Newmarket where they met Melbourne Cup-winning trainer Charlie Appleby and venturing to Coolmore in Ireland to see their former top-class mare Fix. “She had a Galileo colt and is in-foal to Galileo,” Kelso said.